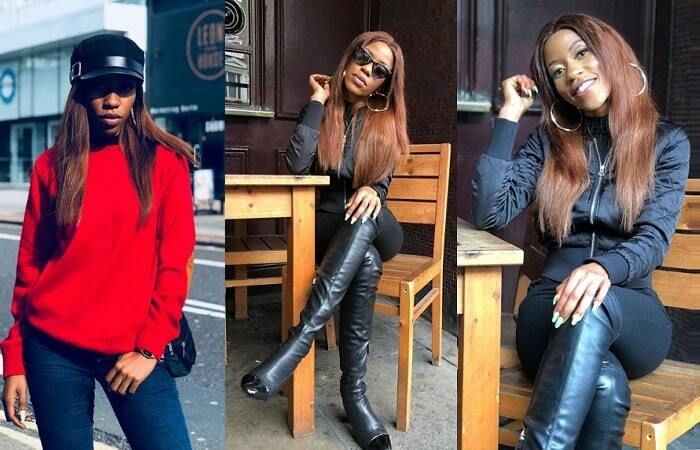 Swangz Avenue signed artist, Veronica Nakiyinji aka Vinka was on Saturday set to perform for her London fans in her very first performance out of the station, but the Chips N Ketchup singer failed to show up after the promoter of the Big Weekender show at Regency Hotel did not fulfill some of the conditions of the contract. Vinka was supposed to share the stage with Geoffrey Lutaaya and his wife Irene Namatovu, Carol Nantongo and Eddie Yawe of the Tukigale fame and The Ebonies. "My London fans, It’s unfortunate the show couldn’t go on as planned." "The promoter violated his contractual obligations at all fronts and failed to manage the event program well, leaving you to endure long opening acts and you evidently ran out of patience." The revelers who part with £60 (Ugx 300,000) for VIP and £40 (Ugx 200,000) for the general happiness section were not happy with the fact that some the artists advertised like Gravity Omutujju did not set foot in the UK and those who did like Vinka, Geoffrey Lutaaya and his wife failed to appear on stage as they equally had unresolved issues with the promoter. "As a result the show couldn’t continue under those circumstances. We apologize for having dealt with an incompetent event planner. We promise to do better next time. We promise to do better next time, Vinka concluded. Following several hours of a standoff, the fans resorted to throwing bottles on stage plus chairs, leaving Regency Hotel, the venue for the Big Weekender show in a mess, the hotel security tried to restore order, but their efforts did not yield much. "What a disastrous show. VIP treatment, it took organizers four hours to provide us a bottle of wine. Non alcoholic we were instructed to pay another extra £7 to be served Coca Cola. It then took them another two hours to serve us a bottle of Coca Cola. After paying £60. This was a robbery." It was not about money, these artists were paid three months back. Vinka and her manager were given pounds 4,500 (20Million) to get to London, how do you get here and you start playing games? "And then, you performed in one of the bars for a mere £300 and yet you were given £1000 as a deposit, it just confirms that there is a problem with some of the artists." "It is rare for an artist to be on the charts for five years, so if your time is now, use it and perform for your fans when you are still relevant." "As for Geoffrey Luttaya and his wife, they were given advance money five months back, if that money was invested in a business venture, it could have made profits, but this is what our artists don't value," Kiggundu noted. "I'm in my hotel room and can't leave unless I receive my balance," Geoffrey Lutaaya told the promoter. "To our fans, we take responsibility and blame for everything that happened and we are sorry, this was between us the promoters and the artists that failed to perform. We, however, thank the artists like Rhoda K, Carol Nantogo, Eddy Yawe and others that performed up to the time when the fans demanded for the rest of the artists who unfortunately failed to perform." "Once again, our apologies," Kiggundu concluded. The comments that followed seemed to suggest that it was ideal for the artists to be paid their balance before appearing on stage.